Depuis quelques jours, votre agence Ideal Services n'est plus située au 48 Rue des Deux Luxembourg. En effet, Ideal Service évolue et souhaite améliorer davantage ses prestations auprès de ses clients, c'est pour cette raison que vous pouvez désormais nous retrouver à 2 adresses différentes à Arlon. 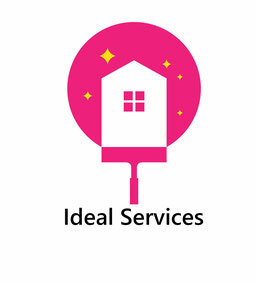 Ideal Services - Agence de titres-services. Ménage - Courses - Repassage - Couture. Hello, Neat post. There's a problem together with your website in web explorer, could test this? IE nonetheless is the market chief and a good element of other folks will omit your excellent writing due to this problem. I'm really impressed with your writing skills as well as with the layout on your blog. Is this a paid theme or did you customize it yourself? Either way keep up the excellent quality writing, it is rare to see a nice blog like this one these days. A fascinating discussion is definitely worth comment. I do believe that you ought to publish more on this topic, it may not be a taboo subject but typically folks don't talk about such topics. To the next! Many thanks!! hello!,I really like your writing very a lot! percentage we communicate extra approximately your post on AOL? I require an expert in this area to solve my problem. May be that is you! Having a look ahead to see you. When someone writes an paragraph he/she retains the plan of a user in his/her mind that how a user can understand it. So that's why this post is outstdanding. Thanks! Hi there, this weekend is nice for me, since this occasion i am reading this great educational paragraph here at my residence. Hi it's me, I am also visiting this website regularly, this site is truly nice and the viewers are really sharing fastidious thoughts. After looking at a number of the blog articles on your blog, I really like your technique of blogging. I book marked it to my bookmark site list and will be checking back in the near future. Please visit my website as well and tell me your opinion. Howdy just wanted to give you a quick heads up and let you know a few of the pictures aren't loading correctly. I'm not sure why but I think its a linking issue. I've tried it in two different browsers and both show the same results. I'm really enjoying the theme/design of your blog. Do you ever run into any internet browser compatibility issues? A number of my blog readers have complained about my website not working correctly in Explorer but looks great in Opera. Do you have any recommendations to help fix this issue? It's enormous that you are getting ideas from this piece of writing as well as from our discussion made at this place. It's in point of fact a great and useful piece of info. I am glad that you just shared this helpful info with us. Please keep us informed like this. Thank you for sharing. fantastic issues altogether, you simply gained a emblem new reader. What could you suggest about your submit that you just made some days ago? Any positive? Fantastic website you have here but I was wanting to know if you knew of any user discussion forums that cover the same topics talked about in this article? I'd really love to be a part of online community where I can get suggestions from other knowledgeable people that share the same interest. If you have any suggestions, please let me know. Appreciate it! I have read so many articles or reviews regarding the blogger lovers however this article is really a nice post, keep it up.